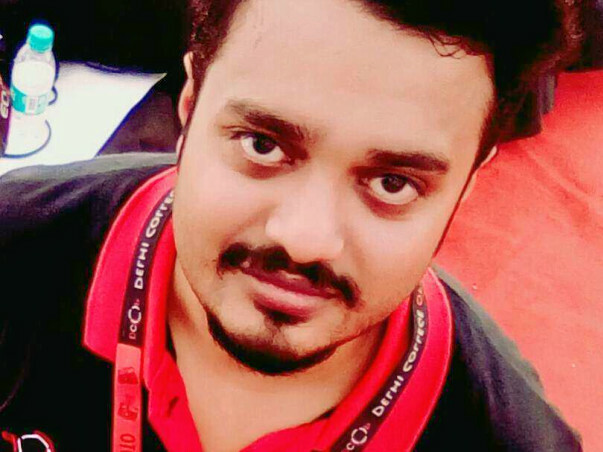 Susmit Biswas, a young enthusiastic engineer turned photographer hails from Hogly distt, near Kolkata and was recently staying in New Delhi. He has dreams in his eyes, loves to laugh, travel and capture mother earth in his camera. His nick name is rightfully "Joy". 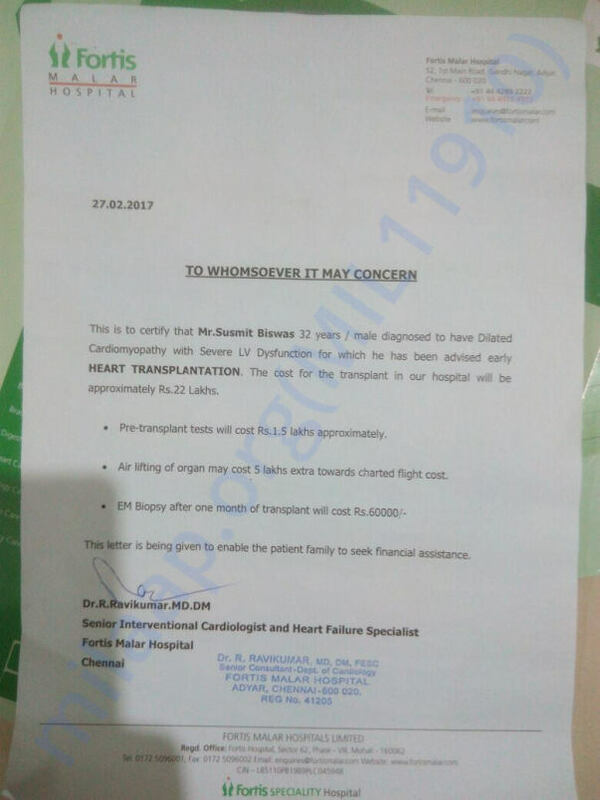 But unfortunately, due to a severe collapse of his medical condition and struggling with months of pain, he has been advised a Heart Transplant Surgery to breathe through his life. And this is THE only hope. The fund thus raised will help his family to pay Susmit's surgery bill and get back their loving child to breathe and live. It is an extremely painful time for him, his family, his friends and for the followers of his photography work. Please help him overcome this critical life threatening challenge. Life is not being fair to him and his kith and kin. He deserves to live. He deserves to smile.The cost of the entire surgery cost is estimated INR 35,00,000/- excluding post surgery medical costs. Being from a middle class family it is very difficult for them to arrange such amount of sum with in such a short span of time. Help them fight this battle. He is now bed ridden, punctured with injections and needs an oxygen mask. 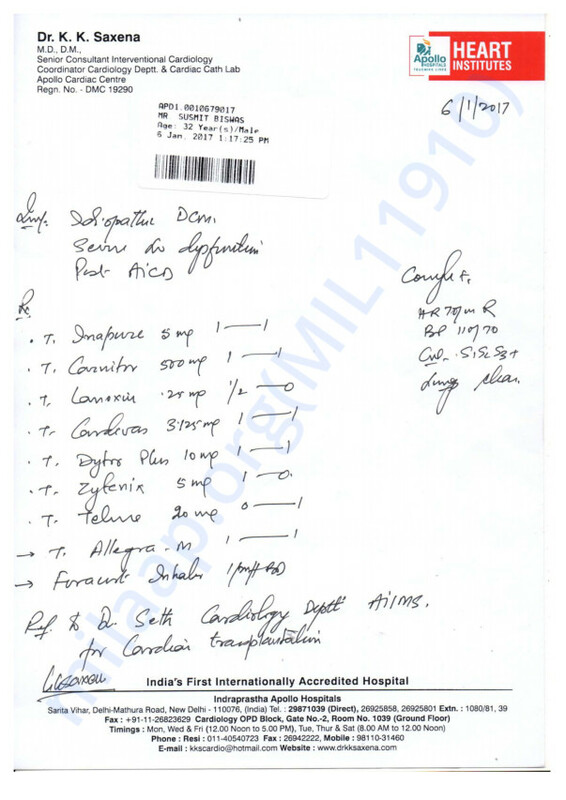 The situation is evidently critical (you may refer to the medical documents attached). Doctor has advised a transplant ASAP. 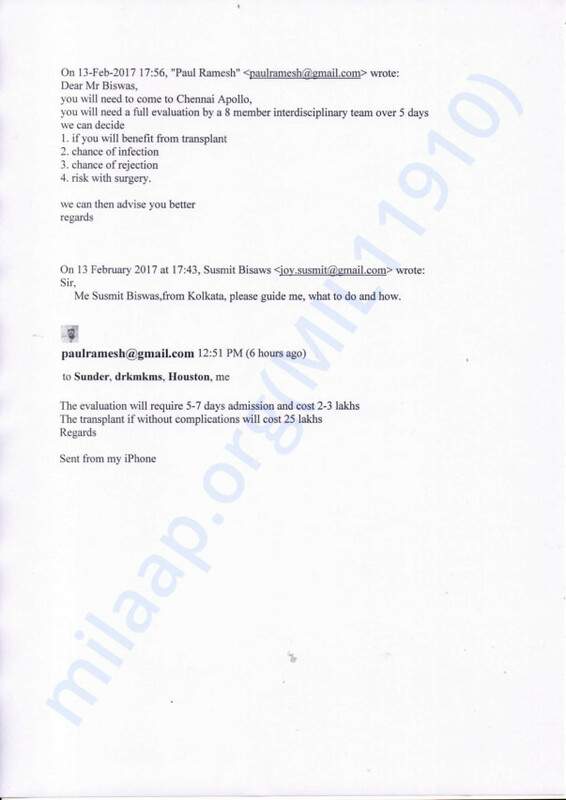 But the surgery cost is very huge and the process cannot be started if the family doesn't have funds in hand. HOW SECURE IS THIS PLATFORM TO DONATE? Milaap is a very trustworthy, efficient, reliable and transparent platform to donate. In case the collected fund is excess or remains unused, we will put it back in Milaap so that other fighters can benefit from it. Susmit's Facebook Profile link: https://www.facebook.com/profile.php?id=100013325612512&fref=ts You can check out his creatively captures shots too. So very saddened to hear this. But no sickness can keep you down Susmit... Rise up and be strong ! My thoughts and prayers are with you; get well soon !